Scores for the knowledge and driving test will be reported to the Department of Licensing electronically within 24 hours; although we try our hardest to report them immediately so you can go to the DOL afterwards. Passing the knowledge and driving test does not guarantee that an applicant will be issued a driver license. The DOL will determine if an applicant has met all licensing requirements; they reserve the right to re-test applicants. Re-testing is done at random and at no cost to the applicant. The knowledge test consists of 40 multiple-choice questions about traffic safety laws. Applicants must answer at least 32 questions correctly in order to pass the test. The knowledge test will be offered at specific times at select locations. Take the practice test online at the DOL website: http://www.dol.wa.gov/driverslicense/practicetest.html. The driving test will test the applicants ability to drive legally and safely. Applicants must pass the driving test with a score of 80 or better out of 100 possible points. For more information on what applicants will be evaluated on, please visit: http://www.dol.wa.gov/driverslicense/drivingtest.html. Occasionally, we train employees as examiners; you may be asked if you mind if they ride along - you have the right to refuse. Applicants may provide their own vehicles or pay to use one of our vehicles to use for the driving test. Our cars are small to midsize sedans with automatic transmissions. If you are required to have an Interlock device, you must test in a vehicle with one. Applicants are encouraged to schedule a private drive lesson prior to testing if you have little or no experience with driving. We offer secure and reliable online payments. We require that all testing appointment be either pre-payed online or paid via cash for walk ins. 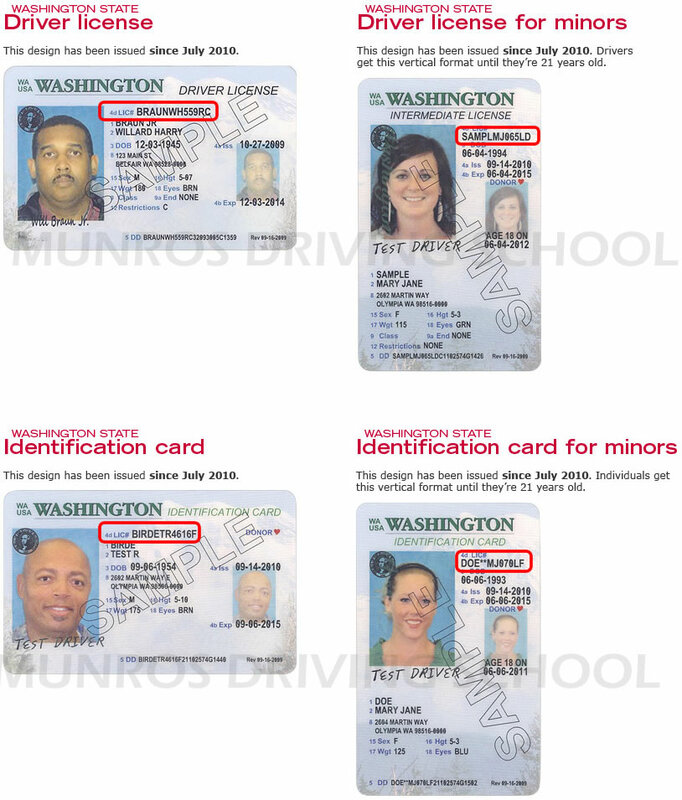 Munros Driving Instruction, Inc. reserves the right to refuse service for any reason as we are a private contractor and not required by the State of Washington to administer testing. If we refuse you service, you must do your testing with the Department of Licensing. Cash or Debit/Credit preferred. MUST pre-pay for the DRIVE test. If you do not show up for your drive test appointment and/or provide less than a 24 hour notice to cancel, there is NO refund. If your vehicle fails to meet the above qualifications, you forfeit your appointment time & fee. You must pre-pay in order to reschedule the test or you can use one of our vehicles for a fee. If you are 10+ min. late for an appointment, we will try to accommodate you if possible. If we cannot work you in, you will forfeit your fee. Select this package if you want to register ONLY for written test. Select this package if you have already passed written test. Select this package if you want to register for all.